In between the murder and mayhem, betrayals and backstabbing, trysts and torrid affairs, the characters on Game of Thrones love to indulge with a good meal. The kitchens at King’s Landing, Winterfell, and the Inn at the Crossroads are renowned throughout the Seven Kingdoms for turning out memorable feasts of epic proportions. So as the hit HBO show returns for its sixth season, we wondered what the Starks, Lannisters, and Targaryens would eat if they stepped out of our televisions and into our dining scene (we’ll take a pass on dining with Ramsay Bolton). Here are seven Wun Weg Wun Dar Wun-sized Game of Thrones dishes worthy of the successor to the Iron Throne. Because #winteriscoming. 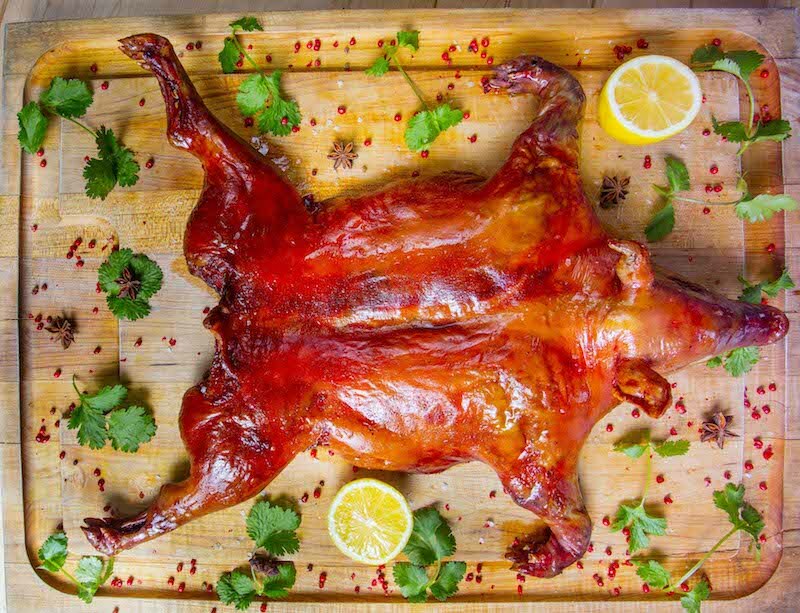 When Tyrion returned to Winterfell after his time on the Wall, the cooks whipped up a stunning supper starring roasted suckling pig. The Imp would surely approve of this rendition, which is served tableside with yucca gratin, green plantain fries, and pickled beets. Given the size and preparation time of this not-so-little piggy, the restaurant requires a two-day notice before the reservation and a four-diner minimum. We suggest fasting for those 48-hours, so you can truly do it justice. Make a reservation at Seaspice & Modern Garden. 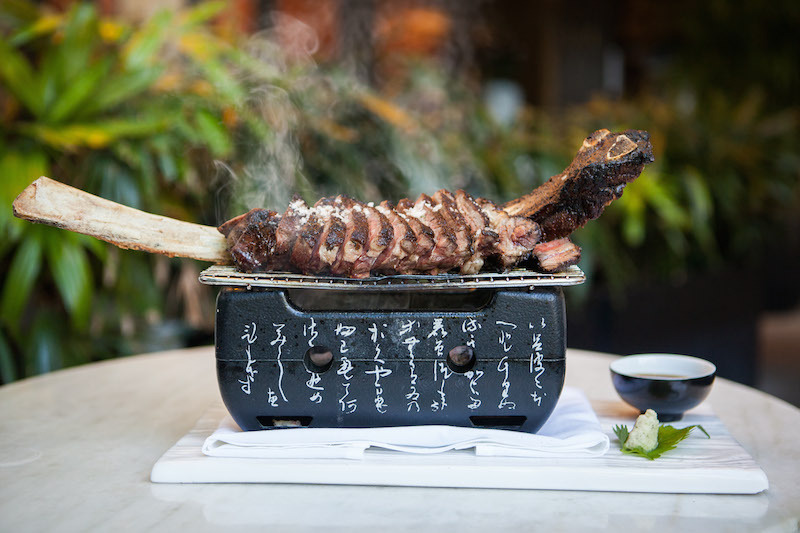 Reminiscent of the fare served at Ned Stark’s first dinner in King’s Landing, the Kurosawa bone-in ribeye clocks in at a beyond-impressive 26 ounces. Marble-rich and imported from the Land Down Under (Australia, not Sothoryos), the beef is grilled on the robata, sliced up, and served on the grill in a stunning presentation that may have even given the King’s Hand pause to admire it. Make a reservation at Makoto. On Oath Day, the newly minted brothers of the Nights Watch dine on food normally reserved for the Master Commander and his high-ranking crew. 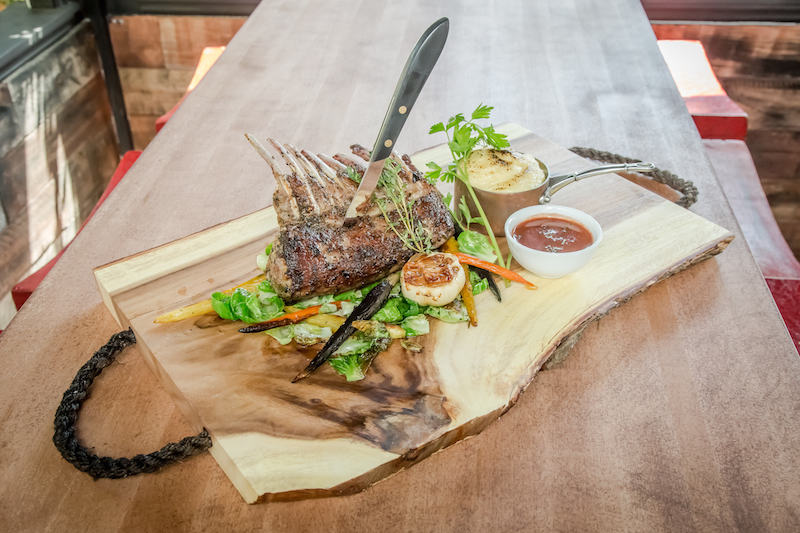 Jon Snow and company enjoyed rack of lamb, which reminded us of chef Cho’s rack of New Zealand lamb chops. Pierced with a knife to create an Instagram-worthy presentation (#jonsnowisforever), it arrives with brown butter pommes puree, pomegranate demi, and a variety of veggies. Make a reservation at the Guild.